Subscribe to be notified about our next event! Who Else Wants To Discover The Real Underground Secrets To Make A Killing Online In 2019 ? In Only 2 Days You’ll Discover Never-Before-Publicly Revealed Amazon and E-Com Marketing Hacks To Scale, Out-Rank And Create a Breakthrough In Your Business? Sitting down with an Amazon seller and Ecomm expert who’s presently generating Millions of dollars per year… who knows how to scale a business from scratch, or from doing ‘OK’ to making millions annually in a matter of weeks or months. During that hour you could pick their brain, ask them anything, find out what’s working for them today in their business, and just as importantly… what’s NOT working today (because if you’re using out-dated information and tools, you WILL be setting yourself back with your time and money). In 60 minutes you’d leave that conversation with ideas spinning through your head and a notebook filled with actionable tools to create a massive breakthrough in your business… so you can get you to your next level (whether for you that’s 6, 7 or 8 figures in revenue). The trouble is, not only are these types of experts hard to find… because they like to keep their working secrets a secret. But these types of experts also charge hundreds – sometimes thousands – of dollars, just for a one hour consultation. Well in Montreal on September 24th and 25th you can join 12 Amazon and Ecom ‘Insiders’ who will be showing you their EXCLUSIVE best-kept-strategies and simple hacks which are making them and their clients millions online TODAY. You won’t find these strategies in a course, online, or anywhere else. Because these are the secrets that are working RIGHT NOW, generating 7 and 8 figures for some of the top businesses on Amazon and in E-commerce. And if you’re one of the lucky 200 attendees to grab a ticket then you’ll see what’s actually working online now, so you can apply these same strategies and get an unfair advantage over your competition for years to come. The Orange hat hackers are the guardians of the legal Amazon selling secrets. If you thought that there weren’t clever tactics that million dollars sellers use to exponentially grow their sales… think again. Orange Hat Summit was created with one thought in mind: open the veil, and grow our tribe of Orange Hat hackers. No fluff, no recycled content, only the most lucrative tactics that will immediately change your business and propel you forward. We pride ourselves on diving into the meat of what makes us money today and nothing less. Join us in Montreal this summer and become indoctrinated in Orange Hat Marketing. We are a growing community of successful sellers and we want you to be a part of it. That’s why our speakers are not teachers, gurus, or YouTubers that preach the same recycled garbage. Our events are given by million-dollar sellers who don’t speak for a living. They speak for a cause. When we first started, we were just a small group of sellers that would share strategies we discovered to earn more sales. As our tribe grew, more and more tactics were developed and shared, benefiting the entire group. Everyone was better for being a member. We pride ourselves on diving into the meat of what really makes us money today. If you’re looking for fluff and generic content, we are not the group for you. But if you want the hacks and untold tactics that have actually helped us make millions and millions of dollars, this summit is the only place you’ll find them. – You’ll find out how to LEGALLY steal your competition’s traffic on Amazon… this hack will skyrocket your listing’s position and create what we call ‘sales velocity’ which will boost your ranking and make your product show up INSTEAD of your competitors. – Amazon flags and suspends products all-the-time. When you’re scaling your business you NEED to make sure your product is Amazon Compliant. You’ll discover exactly how to PREVENT your listing from getting flagged or suspended. Imagine you could reverse engineer your competitor’s TRAFFIC sources and then replicate their strategy. This seller will be showing you exactly how to do this so you can add new traffic sources to your listings and scale them FAST. – Discover the EXACT SAME conversion rate optimization strategy this seller used to increase his client’s MONTHLY sales by $1.8 Million… in just two months! This is a hack you can repeat over and over, with each one of your products and your websites. – Top Amazon sellers are now focusing on getting traffic OFF of Amazon. That’s how you get to the 7 and 8 figure level. You’ll find out the best cost-effective strategies to send traffic to your listings OFF of Amazon which will increase your sales and even your rankings. If you want to grow fast then you’re going to want to listen to this marketing genius talk. – There’s a LOT of misinformation out there. If you use practices which are no longer working today, you’re going to be spending thousands of dollars with zero returns. One of our speakers is going to show you the most UP-TO-DATE amazon practices which are working TODAY. This is all about the fundamentals. Get these right and you’re on the right track for success. – There are TWO giant threats against each one of your Amazon listings which can get you flagged and suspended. This suspension expert is going to show you how to put these fires out BEFORE they happen. – Want a LONG healthy SURVIVING Amazon business? Here’s what to do. This checklist is going to make sure you aren’t breaking any of Amazon’s rules… and he’s also going to show you how to avoid getting on Amazon’s radar screen. – Why you should NOT blindly follow conventional Conversion Rate Optimization techniques. This talk on Day 1 is going to reveal the MYTHS of C.R.O. and how to do it properly to discover the hidden opportunities in your listings and on your website. – Most Amazon buyers have NO loyalty to you and typically only buy from you ONCE. Here’s a powerful strategy to turn ONE-time buyers into long-term customers. By multiplying your customer’s purchasing frequency you can add one or two 0’s to your revenue. Tune in to this talk to discover the exact strategy. – Facebook messenger has become an impressive tool to build a highly responsive list of leads and customers. It’s still very new and under-used, which makes it a great opportunity for you. You’ll see how one marketer grew a client’s list to 360,000 messenger leads and grew his business to 8 figures thanks to multiple sales channels. – Find out how to get 20% of your customers to leave you honest reviews… so you can become the “go-to” product in your niche. This is something no one is teaching right now. Tune in to our talk to discover this hack for yourself. – Ever wonder what makes your customers TICK… and buy? Come learn this advanced yet simple strategy to figure out what words TRIGGER your customers into buying. You will be amazed when you apply this trick to your own business. – Every customer has objections to purchasing your products. You’ll discover how to find how what YOUR customers’ objections are, and how to overcome them with a simple trick… tune in on Thursday morning to see this hack for yourself. – How do you get your product to rank on the first page of Amazon’s search? This seller’s got 15 easy to implement hacks which will get your product ranking and above your competitors FAST. – What would happen if an ‘influencer’ with millions of subscribers promoted your product? It would give your listing ‘sales velocity’, and make you have to restock your inventory in record time. Here’s a simple, yet clever formula to get in touch and rub elbows with influencers in your marketplace. Fabienne will be sharing her secrets to connect with influencers on Day 2. – This one speaker took a client who was making $15,000 per month with a 10% ACoS (Advertising Cost Of Sale) to $150,000 per month with a 6% ACoS. If you want to find out how, you’ll have to be there to listen to Michael Hartman’s talk on August 23rd. 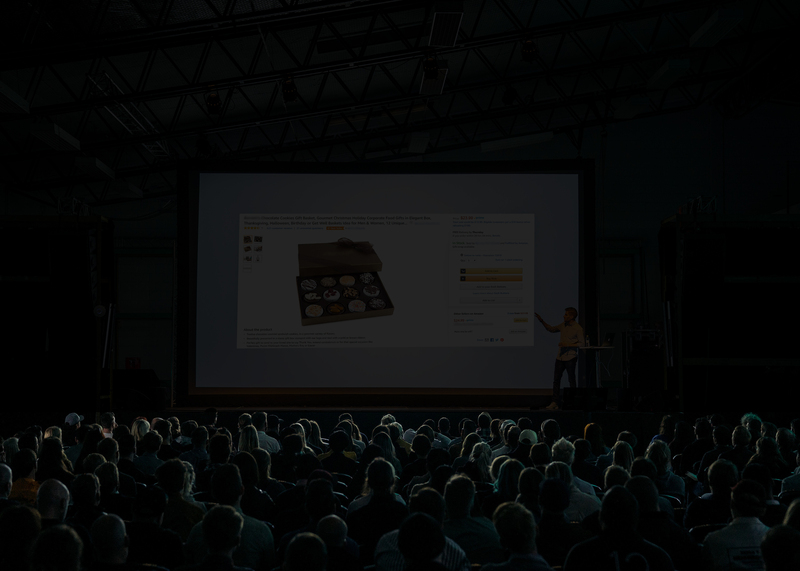 – Discover how to optimize your Amazon listings’ potential with brand-new PPC hacks which Amazon is beta testing now… and will ONLY be revealed at this seminar. If you can get in on these hacks now, you’ll be miles ahead of your competitors when they find out about them in 2019. Michael Hartman will be revealing these hacks on day 1. – There’s a SCIENCE to get your listing #1, and an “Amazon Best-Seller”. This one speaker has done it over and over within days for listings in un-competitive markets, in WEEKS for somewhat competitive niches, and in only a few MONTHS in highly competitive markets. You’ll discover how to do this yourself. – There’s ONE person you must call if you NEED to get your listing BACK. This guy is like the fire-fighter of suspended accounts. He worked for Amazon before becoming a consultant and knows the inside out’s. You’re going to want to have his email handy should this ever happen to you. Tune in on day 1 to find out who this Amazon listing savior is. 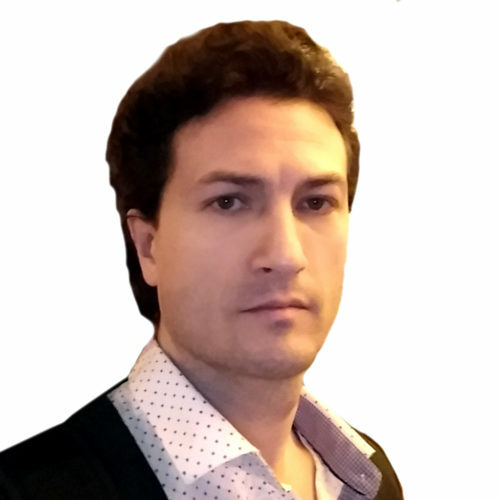 Ivelin Demirov is a Canadian serial entrepreneur, bestselling author, investor, and the founder and CEO of River Cleaner, a platform that uses machine-learning to study Amazon listings and show users what’s working best. Ivelin started his career as an industrial design engineer, a profession he eventually left for his love of entrepreneurship, initially selling on eBay before focusing on Amazon. Since 2001, Ivelin has started and sold multiple e-commerce and SaaS companies, and invented, designed, and manufactured more than 100 products. After successfully delivering 9 Kickstarter projects, he is now collaborating and partnering on multiple products that will be sold on Amazon Launchpad. Ivelin is the host of the biggest Amazon Sellers community in Canada and actively helps new sellers get started in the world of e-commerce. Who should come to Orange Hat Summit? The content presented at the Orange Hat Summit fits best the seasonsed and advanced sellers. If you are a new seller, you will learn a lot of tactics, which you can implement in your business down the road. What is not included in the price of the ticket? The following expense is on you: dinners in the evenings, accommodation and traveling cost if you are not from Montreal. What are the Accommodation options in Montreal? The venue of the conference is located in the Hotel Intercontinental Montreal, which is offering a special discount for the rooms. Follow this link to book a room at the InterContinental Hotel. Alternative options: Hotels via Booking and homes via Airbnb. Is it possible to get a refund for the ticket purchased? Yes, tickets may be transferred upon approval from the organizers. Use the contact form at the bottom of this page to get in touch with us with the details. Will there be a wireless Internet access during the event? We have an electronic record of your purchase, but, to be safe, it would be wise to bring a ticket or have your confirmation on your phone.